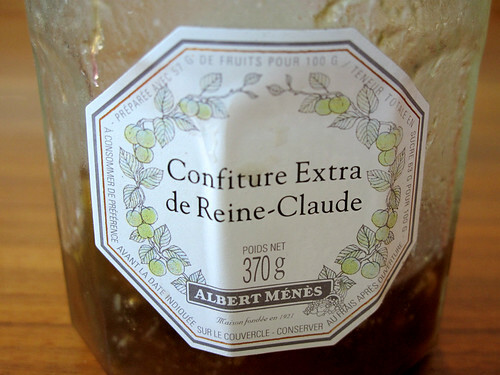 On our trip last summer, we all ate buckets of lovely Reine-Claudes, little green plums that tasted like they'd been bathed in honey (above you'll see a bowl of Reine-Claudes along with yellow mirabelles). I searched around when I got home but I couldn't find any here in the US, until I realized that Reine-Claudes are actually greengages. This isn't particularly helpful, because if you live outside of England and don't have a grandmother with a farm that's been in her family for generations with a lot of heirloom fruit trees, you still can't find them anywhere. At least in Virginia. 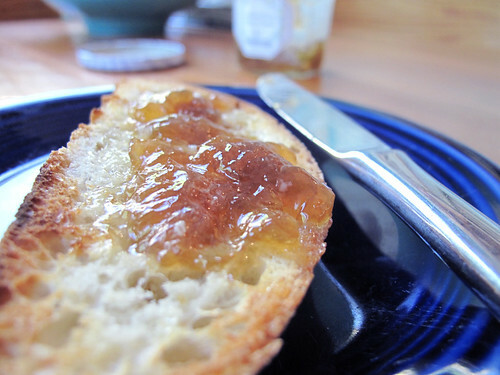 You can find preserves, however. One jar is outrageously expensive but what do you expect? 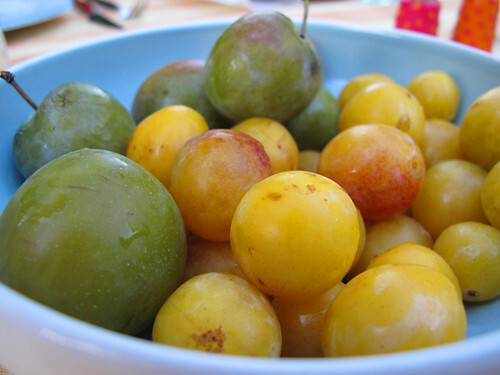 YOU CAN'T FIND GREENGAGES ANYWHERE. As you can see above, the preserves I brought back from France are dangerously low and have, in fact, been hidden away from children at this point. I will continue to eat them in secret, topping butter-soaked slices of thick toast, until every last remnant has been scraped away. And when I buy my next jar, the key, I think, is to never let anyone else know I have it. Maybe you could grow them, though they prefer a little it a little colder (zone 5? )...it seems they were grown at Monticello. I think I am going to plant one in my backyard this fall — THAT'S how much I love them!